According to the California Highway patrol drivers in our state continue to shift their focus away from the road and onto their phones, despite the risks associated with multitasking behind the wheel. April is Distracted Driving Awareness Month, and the California Office of Traffic Safety, the California Highway Patrol and Impact Teen Drivers will be working together throughout the month to educate drivers on the importance of traveling free of distractions, as well as cracking down on drivers who violate the state’s hands-free cell phone law. According to preliminary data from the CHP, 66 people were killed and more than 6,500 injured in 2017 from distracted driving related crashes. In 2018, the CHP issued more than 109,000 citations for violations of the hands-free cell phone laws. 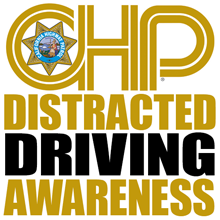 On April 4 and April 19, the CHP will conduct a statewide enforcement effort to discourage distracted driving. “Through a combination of high visibility enforcement efforts, a focused education campaign, and cooperation from the motoring public, preliminary data shows the number of inattentive drivers involved in crashes is on the decline,” said CHP Commissioner Warren Stanley.